Here we have a cracking son of Equiano that really takes the eye. We at Ontoawinner have had great success with sons of Equiano having Staxton who is currently rated 101; listed place and in the top ten rated Equiano progenies ever. 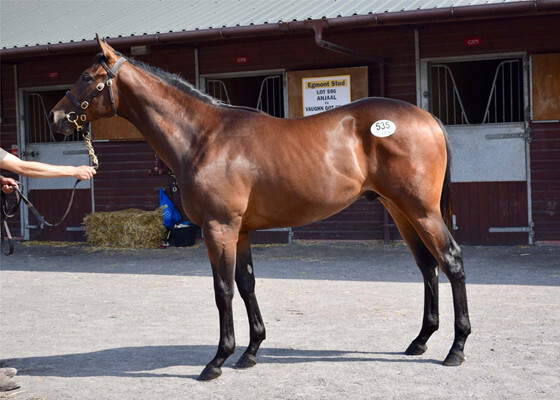 We think this colt is great value for money, he looks a proper Equiano and is one you must see with your own eyes. The sire, Equiano was a top class 5-furlong sprinter who won the Royal Ascot Group 1 King’s Stand twice in an illustrious career. His progeny are tough and fast like the sire, he produces plenty of winners at all levels including The Tin Man who is a 3-time Group 1 winner, Strath Burn who was a Group 3 winner and now a sire. We believe the sire is very underrated considering how many winners he produces and provides value for money standing at a top-quality stud farm. The Dam, Nos Da only ran a couple of times. 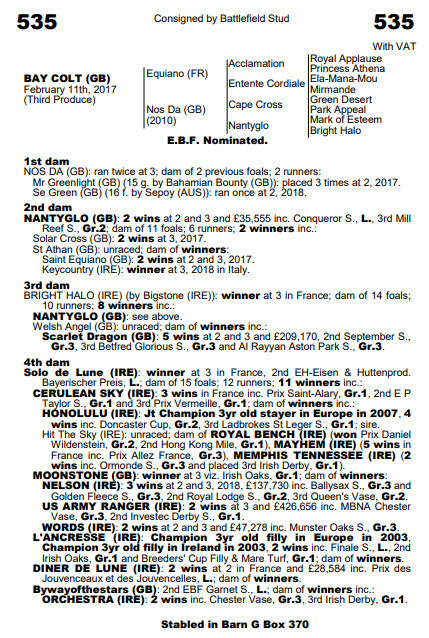 Nos Da hails from a great family, her dam Nantyglo was a listed winner and was 3rd in the Group 2 Mill Reef stakes, one of her produce is by Equiano; Saint Equiano who has won 4 races, including a class 3 in January 2019, and amassed over 33k in prize money. Our Colt is the 3rd foal, the first two foals have run and both are trained by Tim. 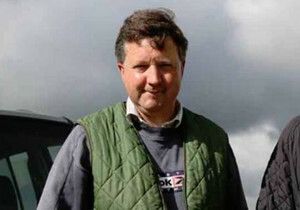 The first foal, Mr Greenlight, was highly thought of by Tim, he was working with Staxton in the early days but always looked a 3 year old, unfortunately Mr Greenlight suffered a fractured pelvis on the gallops early in his 3 year old campaign so could not run as a 3 year old, but is back in training this year as a 4 year old and Tim thinks he will win races. We think this colt is great value for money. We think a bit about this colt and think he is one that will be running early in his 2 year old season. He walks well, has good bone, pleases in his attitude and we think we have stolen him for the price we paid, its always a help when the trainer knows the family of a horse well and Tim certainly does, as he trains all 3 of the dams offspring.